Here Comes the Rain for the Weekend! I'm always happy to see some rain arrive and give my plants a much-needed drink of water (because I'm pretty thrifty with water, even in the wintertime). We, gardeners, know that, while the rains are needed for our plants to thrive, sometimes they can make gardening in the winter a bit of a challenge (think mud, cold, dormant plants). So imagine how happy I was to accidentally discover my own kind of winter garden, right in my own kitchen. We have a large north facing window in the kitchen that has a window seat installed directly below. It actually has loads of bright, indirect light, and I found it was a great spot for my one, lone houseplant - a Peace Lily (Spathiphyllum) - whenever we were out of town and I wasn't here to open the shades in the room the plant normally lived in. I sometimes added a plant here and there to that window seat and had pretty good success. But then, I REALLY struck pay dirt when I purchased (on a whim) a tabletop greenhouse at IKEA. I'd been gifted a Phalaenopsis orchid plant that completed the requisite first bloom...and then sat. And sat. And sat some more. 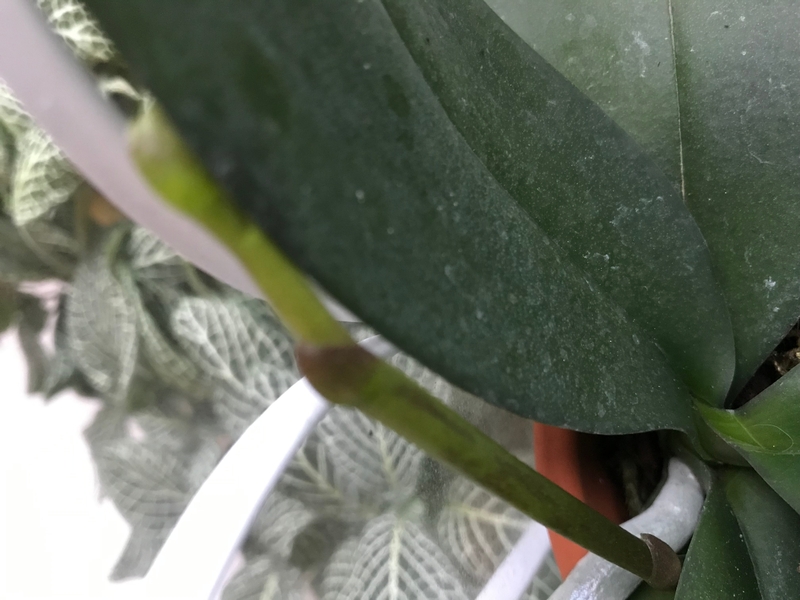 It pained me to dump perfectly good living plants, so I thought it was worth $20 to see if I could get the orchid to bloom again. 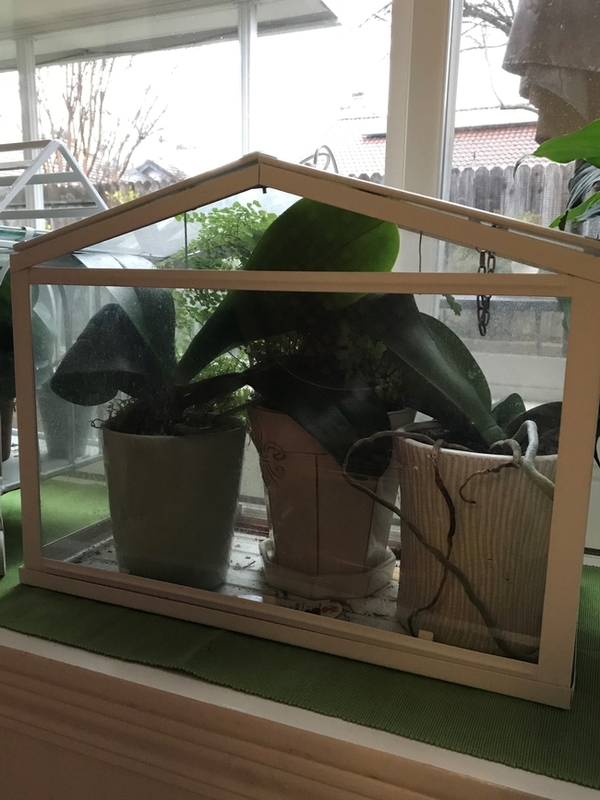 I set up that little greenhouse, popped the orchid still in its original container inside, and gave it some occasional water and a spritz here and there from a spray bottle. And about 4 months later, a little spike of buds started growing out of that plant! Without meaning to, I'd discovered that I, too, could cultivate an indoor garden to feed my gardening addiction hobby. I've since found a variety of small, tabletop greenhouses in stores, catalogs, and online, and I have a nice row of them in my window. I've added three more orchids to them, and every few months, a small spike of orchids starts peeking through the leaves and blooms on those plants. In addition, a Maidenhair Fern (Adiantum spp. ), a Prayer Plant (Maranta leuconeura), an African Violet, as well as a few other as-yet-to-be-determined plants have joined my little group.